14k White Gold. 20 carats diamonds. Diamonds VS-SI. Color H-I.Symbol: Star and Crescent. Symbol explanation on our Symbols page. . Please call for more information. 14k White Gold. Center Diamond .20 carats.. Clarity SI Color Enhanced. Natural Color available for additional $700.. Side diamonds .14 carats. Adinkra Symbol: Gye Nyame. Engraving available at additional charge. Band Width: 5mm. Symbol explanation on our Symbols page. . Pleae call for more information. Announce your love. Double sided Ankh. 14k Yellow Gold. Priced for sizes 5-9. DIMENSIONS: Band: 4.5mm at widest part. Symbol: 4.2mm at widest part. OPTIONS: Engraving available. Matching Band (2mm wide) with paved diamonds available for $800. Larger sizes available. Available in 18K. Symbol explanation on our Symbols page. Custom orders take 4-6 weeks. Rush orders available. Please call for more information. 18k Yellow Gold. Center Diamond 2 ct, Marquise cut. Color:G-H Clarity: SI1. Side Diamonds: .50 carats total weight. Tapered baguette. Baguettes Clarity SI, Color H-I. Engraving free of charge. 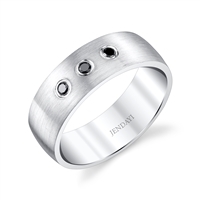 Ankh Band available Separately:$1850 14k, $2405 18k, $3830.40 Platinum. Sizes 5-8. Please call fo larger size prices. Band width: 5mm. Egyptian Symbol: Ankh. Symbol explanation on our Symbols page. Custom orders take 4-6 weeks. Rush orders available. Please call for more information. 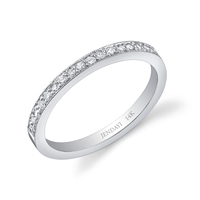 Beautiful .Elegant Anniversary or Wedding Band. Sizes 5-8. 30pts round pave diamonds. Color: G-H Clarity VS. Available in 14K & 18k Yellow Rose or White. Please call for pricing. 7mm Platinum comfort fit low dome pipe cut ring with a brushed finish and .09pts tw black diamonds. CARAT Black diamonds .09pts tcw. OPTIONS Available in size 8-12. Available in 14K & 18k Yellow Rose or White $962.50 or Silver $238.00. Available in 14K & 18k Yellow Rose or White. Available stones: Please call for current inventory. Beautifully Simple Half Round Band. Comfort fit. Part of our CLASSICO ELITE series. Comfort Fit Band Width 7mm. Available in Rose & Yellow Gold as well as 18K & Platinum. Sizes 8-12 $1600. Sizes 12-14 $1750. Also available in Sterling Silver $325 sizes 8-14. Our new line of Culturally Inspired Wedding Rings. 14K White Gold Brushed finish, comfort fit, 1 symbol. DIMENSION: Comfort Fit Band Width 7mm. OPTIONS: Available in Rose & Yellow Gold as well as 18K & Platinum. Sizes 8-12 $1550. Sizes 12-14 $1700. Also available in Sterling Silver $265 sizes 8-14. Payment plans available, including recycling your old gold. Please call for more information. Custom orders take 4-6 weeks. Rush orders available. Please call for more information. This Adinkra Wedding Band comes with 7 symbols. 14k yellow & white gold. Perfect blend of finishes- High polished ring edges and symbols contrasted with brushed finish on center of ring. SYMBOLS: Pictured here Funtunfunefu-Denkyemfunefu, Gye Nyame, Nsoroma. OPTIONS: Engraving available. Your choice of Adinkra Symbols from our selection. Symbol explanations on our Symbols page. Part of our unique African Wedding Ring Collection. Sizes 6-9, Sizes 9-12, $2425. Sizes 12-15, $2600. Available in 18k and Platinum. Part of our Unique African Wedding Ring Collection. Custom orders take 4-6 weeks. Rush orders available. Please call for more information. Classic Elegance/ Simple Band. Beautifully Domed and comfortable for everyday wear. 14k Comfort fit. Sizes 5-9. OPTIONS: Larger Sizes available. Also available in white and rose gold. Please call for bands widths from 2mm- 10mm. Part of our new Classico Elite Wedding Band series. Custom orders take 3-5 business days . Rush orders available. Please call for more information. Classic Elegance.18k Domed & Comfort fit for every day wear. Sizes 9- 11. Available in white, rose and yellow gold. Bands widths available from 2mm- 10mm. Please call for pricing. Part of our Classico Elite Wedding Bands. Custom orders take 3-5 business days . Rush orders available. Please call for more information. OPTIONS: Band purchased separately $2,400. Available in Platinum, 18k White, Yellow or Rose Gold. Diamond alternatives available. Payment plans available. Custom orders take 4-6 weeks. Rush orders available. Please call for more information. CARAT: Diamonds:.55 carats Color: H-I Clarity: VS-SI. OPTIONS: Payment plans available, including recycling your old gold. Custom orders take 4-6 weeks. Rush orders available. Please call for more information. DIMENSIONS: Band Width: 12mm. Sizes 6-9. OPTIONS: Sizes 9.5-12, $2590.00 Sizes 12.5-15, $2990. Engraving available. Comfort fit is an additional $160. Choose your own symbols from our collection. Symbol explanations on our Symbols Page. Custom orders take 4-6 weeks. Rush orders available. Please call for more information. 20% OFF! Black Friday Cyber Monday Sale! 20% OFF Black Friday Cyber Monday Sale! 14k White Gold, 3 Symbols. Comfort fit for great everyday wear. OPTIONS $1685 for sizes 5-9. Sizes 9 1/4-12 $2100.. For larger sizes please call for pricing. Also available in 18k White, Yellow or Rose Gold, and Platinum. For symbol meanings please see our Symbols Page. Custom orders take 4-6 weeks. Rush orders available. Please call for more information. Clean Sharp Sleek. 14k White Gold. Four symbols and four bezel set stone settings. Choose your own symbols from our collection. Symbol explanations on our Symbols Page. . .
OPTIONS: Priced for Sizes 6-9. Sizes 9-12, $2,890.00 Sizes 12.5-15, $3,300. Engraving available. All Tanzanite (40pts) avail $2450 (sizes 6-9) Comfort fit is an additional $160. Available in 14K & 18k Yellow, Rose, White. Platinum-please call for pricing. Custom orders take 4-6 weeks. Rush orders available. Please call for more information. DIMENSIONS Band Width: 4.2 mm. OPTIONS: Egyptian Symbol: Ankh. 14K $4900. For larger sizes please call for pricing. Available in Platinum, 14k White, Yellow or Rose Gold. . Available in 14k with H-I-J Color and SI Clarity for $3800 sizes 5-9. Stunning piece. .60pts of diamonds VS-1-VS-2, G-H color. Band width 8mm. Hand fabricated. 14k White gold center, symbols have a gorgeous sandblast finish. Outer rims 18k yellow gold. $2860 sizes 9-12.. Please call for smaller sizes. (Diamond weight decreases slightly to approx .50pt.) Custom orders take 4-6 weeks. Rush orders available. Please call for more information.take 4-6 weeks. Rush orders available. Please call for more information. 14K yellow gold . Band width 7mm. 20 diamonds VS-1 - VS-2, G-H color. Sizes 9-12 $1766 Sizes 5-8 $1550. Precise, with clean sharp lines. 14k white gold band with black enamel in background. Symbol: Gye Nyame. Design: 3 symbols with 4 diamonds in between each symbol. Diamonds: Color G-H, Clarity VS. Shape: Princess. Diamond total weight .32pts (.4 pts each). Available in 9mm and 10mm widths. Other symbols, round diamonds and other gemstones available. Call for more information. $2013 sizes 5-12. $2213. Sizes 12 1/4 - 16. Custom orders take 4-6 weeks. Rush orders available. Please call for more information.